From the vibrant mural that greets you in the lobby to our 116 beautifully designed en suite bedrooms, we offer a chic London bolthole unlike any other. Whether you're here for sightseeing, business, shopping or just taking a load off, our friendly team w ill take care of you around the clock. So if you're craving a refreshing nightcap at 11pm or a hot coffee at 6am, our 24-hour people will make sure your every need is met. We've even got a mini gym on site, so you can burn off any indulgences! Our central London base puts you within easy reach of some of the world's most famous cultural attractions, with the Royal Albert Hall, London Olympia Exhibition Hall, National History Museum and the Victoria & Albert Museum all within a 10-minute drive. Our 115 newly-refurbished, fully air-conditioned rooms are bright, minimalist and modern, providing a calm and relaxing environment to unwind after a full day exploring the delights of the city. The perfect place to kick back with a glass of something refreshing, our chic lobby bar is open until the wee hours - perfect if you fancy a chilled-out nightcap with good company. The room is too compact that I cannot open my case on the floor. Need to move it into the bathroom to open. Some one had opened my room door even not knocking in advance. Threw a word 'SORRY' when she found that we still in the room. By that time, only around 10:30am. On the day of check in, need to wait more than 5 minutes for the lift. Good price, fantastic location, fuss-free check-in, the room is quite small (definitely smaller than what is shown in the room pictures) but clean and everything was working (especially the shower with strong and stable hot water flow), simple but more than sufficient breakfast, and very warm housekeeping and breakfast staff. The hotel was only a short walk to the local cafes/restaurants. When we arrived the lift was out of laction. My wife was not feeling very well and could not have climbed the stairs to our room. The staff were very helpful in changing the room so that we were on the ground floor. Clean room with a nice and comfortable bed, nice breakfast with helpful staff. Check-in staff not so welcoming and friendly. 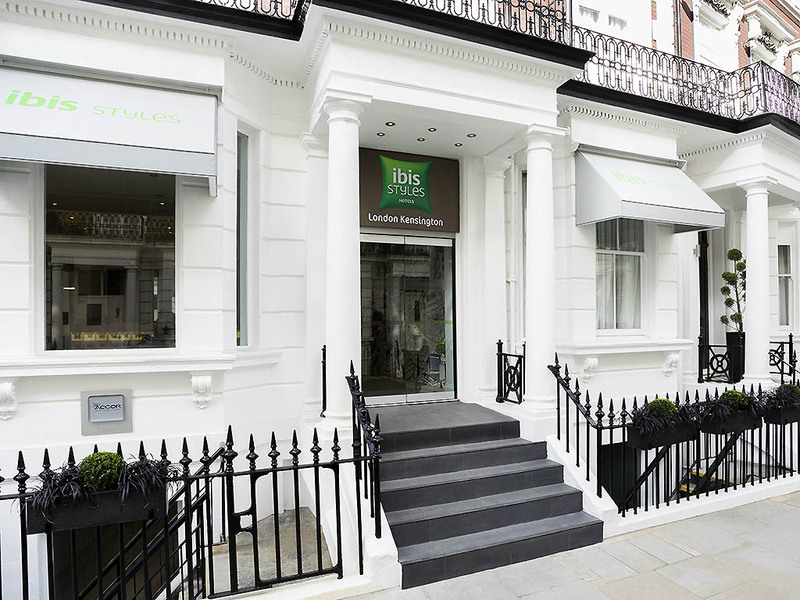 The hotel is very well-located near Earl's Court Station and at walking distance to the National History Museum. Bed was hard (not like we have experienced in other Ibis hotels) and room was very basic. Reception was friendly but room was disappointing. Good hotel, perfect location, good breakfast. Lift was broken had to climb 3 flights to get to my room. When I asked for help to carry my luggage it was provided but woul have been better if help had been offered before I had to ask. Carpet in room was torn in half, grout in bathroom needed replaced. Tazz gave excellent customer service to us. The hotel was well placed located in a nice neighborhood close to the Underground. Everything was clean and worked fine, and the service was good. The rooms (and especially bathrooms) where very small. The largest problem was a quite high volume, from other rooms and the doorways. More sound deadening would be appreciated. Also, the breakfast was somewhat lacking. I have stayed at a Ibis hotel many times before and never had a bad experience. However here it wad an exception, very tiny room at the very end of a corridor last room in a dark corner, seemed like a bunker. Dirty walls and carpet. Very cold, bathroom was tiny, old and unmantained. Excellent location near Tube but on a quiet road. Lovely breakfast. We liked the location, so near to Earl's Court station with lots of eating places nearby. Rooms were clean and well serviced. Continental breakfast was excellent and staff were very friendly and helpful. The staff are always absolutely lovely, but alas, the air con machine was so loud it woke me up about every hour. A great find. Tucked away in a fairly quiet street near Earls Court tube station. Simple, clean comfortable rooms, well designed for modern facilities. The service from arrival to departure was first class. Especially the breakfast staff. Highly recommended!